A lesbian member of the GLBTA chorus I sing with said she just “doesn’t get” why I, a straight person, would join a gay chorus knowing that people would then assume I am gay? Why would I put myself in such a position and open myself up to ridicule? Her question was from the perspective of someone who knows how dangerous it can be to be an out gay person. She has lived through losing a job because she was outed at work. She attended 18 funerals in 12 months of people who died of a disease that straight America was ignoring. She was involved in bar raids where same gendered people seen touching each other were arrested and was friends with a boy in high school who was beaten to death by young men out to “roll a queer.” Her comment was that, if a white person is involved in furthering a civil rights issue with a racial minority, no one would look at that person and assume that person is a member of that minority. But if a straight person is in OneVoice, it’s a different story. She believes I am potentially putting myself at risk and wanted to know what motivates me and other straight chorus members to do so. These are my reasons. I have many gay friends and loathe they could be considered “less” than other humans. That they are unworthy of the same rights and privileges heterosexual people have is unacceptable, abhorrent and irrational to me. I can’t change the world as a whole but I can make small differences. Joining the chorus has led me to have conversations with family and friends I’ve not had before. I’ve helped to change the way an older couple thinks about GLBT people. I’ve talked with my family and educated them. I’m privileged to be a part of this wonderful group who helps young GLBT people see there is hope, not everyone hates, and life can get better. Singing with OneVoice adds to my life purpose. My best friend’s mother is white, her father black. When most people look at her, they see a black woman, not just a woman. I’d like to think that if we’d been friends at the time, I’d be one of the white people sitting at the lunch counter with her during the civil rights movement. I’m not sure I could ever be that brave, but in a small way joining the chorus is my way of supporting justice and creating change for my friends. Matthew Shepard. I did not know him but his murder profoundly affected me and still does. I have tears in my eyes as I type this. No one should be subjected to such a horrific and senseless death over which gender they are born to love. To affect change, erase small-mindedness and perhaps persuade someone who hates or thinks that GLBT people are contemptible, to at least reconsider their position. I can’t change everyone but if I can change one, that person may change another and so one until the numbers become overwhelming. Finally, I can think of no other avenue to affect change that gives me as much joy as singing. To spread a message of tolerance, community and change with music is the very best avenue for me. I get to do what I love, for a purpose I feel passionate about. 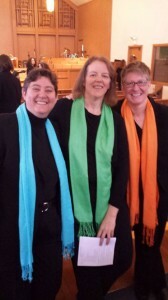 Heidi sings as an Alto with One Voice Mixed Chorus in St. Paul, Minnesota. 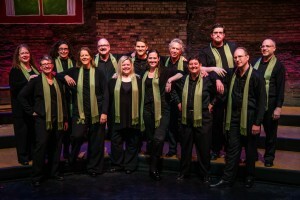 Learn more about One Voice Mixed Chorus at http://www.OneVoiceMN.org.